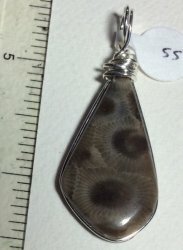 Petoskey Stone Pendant Wrapped in sterling silver wire. Stone measures approx. 1-3/8" x 3/4".